Provide comfort for the family of Bernie Hunke with a meaningful gesture of sympathy. Mass of Christian Burial for Bernie Hunke age 53 of West Point, NE will be on Thursday, February 14, 2019 at 10:30 a.m. at St. Mary's Catholic Church in West Point with Fr. Steve Emanuel as celebrant. Interment with Military Honors will be in the St. Boniface Cemetery-Monterey, rural West Point, NE. Visitation will be on Wednesday from noon to 4:00 p.m. at the Minnick Funeral Home in West Point and will continue from 5:00 p.m. to 7:00 p.m. at St. Mary's Catholic Church. There will be a Vigil Service with a Knights of Columbus Rosary at 7:00 p.m. at the church. Visitation will continue on Thursday from 9:00 a.m. to 10:00 a.m. at the funeral home. Memorials are suggested to the family for the Air Force Statue at American Veterans Park or the West Point Volunteer Fire Department's Annual 4th of July Fireworks Show. Bernie passed away on Saturday, February 9, 2019 at rural West Point, NE. Bernard Chris Hunke was born on November 15, 1965 in West Point, NE to Hilbert John and Joan Marie (Logan) Hunke. Bernie attended Pebble Valley School and graduated from West Point Central Catholic in 1984. 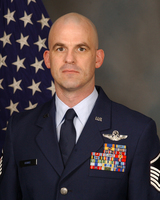 Following high school he was employed at IBP in West Point, NE and later enlisted in the United States Air Force on May 6, 1986. Bernie was as a C130 Loadmaster and retired on May 31, 2008. Bernie completed his basic training at Lackland AFB in San Antonio, TX. He was stationed at Little Rock AFB in Little Rock, AR, Yokota AFB in Japan, Pope AFB in Fayetteville, NC, Ramstein AFB in Germany, and Offutt AFB in Omaha. Following his retirement he served as the Veterans Service Officer and Emergency Manager for Cuming County. While stationed at Little Rock AFB, he met Lisa Turner and the two were married on July 28, 1990 in Little Rock, AR. Bernie was a member of St. Mary’s Catholic Church, Knights of Columbus Council #2272, American Legion Post #70 and Veterans of Foreign Wars Post #4912 of West Point, Beemer American Legion Riders Post #159, served on the West Point Volunteer Fire Department and was active in other community activities and events in the area. He enjoyed travelling, long walks, motorcycle rides, planting and tending to his rhubarb, choke cherry and berry bushes which he grew for making jelly, cooking, mowing the St. Boniface Cemetery, spending time on the family farm, and German beer. He loved spending time with his family and brother firemen. Bernie was preceded in death by his parents-Hilbert and Joan Hunke, brother-Gregg Hunke, a sister in infancy, and mother in law-Helen Turner. To send flowers in memory of Bernie Hunke, please visit our Heartfelt Sympathies Store. There will be a Vigil Service with Knights of Columbus Rosary at 7:00 p.m. at the church on Wednesday. We encourage you to share your most beloved memories of Bernie here, so that the family and other loved ones can always see it. You can upload cherished photographs, or share your favorite stories, and can even comment on those shared by others. Bentleys David Gayla Buster Duwane Emma Lou David , The family of Life Unlimited, LR, and others have sent flowers to the family of Bernie Hunke. Dear Lisa and family, your family time in Conway was short but you made such an impact. Thank you for sharing your love with us at St. Joseph. I am so sorry for the loss of such a good man. Carry on in the manner that he taught us all! God bless you all as you celebrate his life and yet mourn his loss. Our deepest sympathy to Lisa and her family. Please be assured of our continued prayers. Lisa and family: we are praying for you as you grieve the loss of your husband Bernie. May precious memories bring you joy for a life well lived. 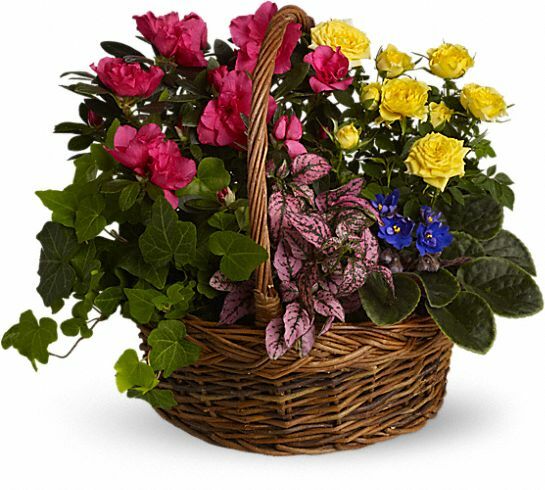 Bentleys David Gayla Buster Duwane Emma Lou David purchased the Blooming Garden Basket for the family of Bernie Hunke.